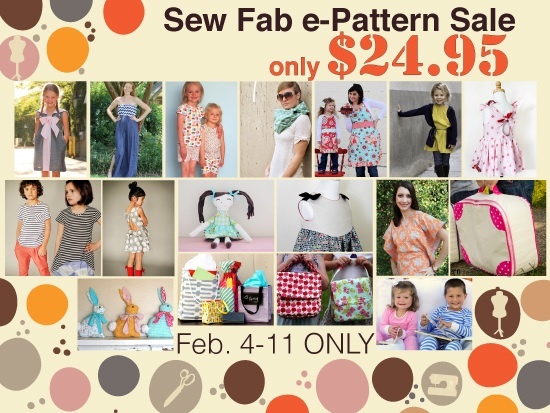 3 comments on "Sew Fab e-Pattern Sale"
You realize almost all of those patterns are feminine? I have two boys, and no girls to sew for. 4 out of 18 patterns can be used for my sons. I'd spend roughly the same amount getting them individually, but without the extraneous female patterns. This is disappointing. Maybe next time. Thank you for pointing this out, Steffie. I'll pass this onto the sponsors of the sale. I love this sale!! I'd love to share it on my blog on Friday. Do you have a picture I could use or could I use one from this post? I'll be sure to link back to you!